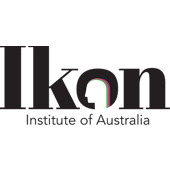 IKON are Australias leading, specialist provider of therapeutic and human services training. At IKON youll gain more than a nationally recognised qualification, youll gain a rewarding career where you make a positive difference in your life and the lives of others. Through being Australias leading provider of therapeutic and human services training, IKON is committed to creating social change, building strong communities and facilitating individual healing and growth throughout Australia. IKON develops and delivers qualifications to individuals committed to their own potential and growth and who also have a strong interest in working with people in a supportive, creative and inclusive therapeutic manner. Enquire now to start in 2018. Contact us for an information and application pack.